Commentaire Un minimum de 2 participants est requis. 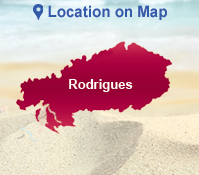 Enjoy an incredibly immersive experience in Rodrigues and completely engage yourself in the quirky Rodriguan lifestyle. This full day tour gives you the splendid opportunity of discovering first-hand the simple joys of the peaceful Rodriguan life, its exquisite cuisine and its absolutely charming culture. You will be guided by agreeable natives who will not only demonstrate to you how the charming islanders earn their livelihoods through various enjoyable activities, but they will also allow you to try your hand at a few of them - and who knows, you might even uncover few hidden talents in the process! You will actually put yourself in the skin of an authentic Rodriguan for the whole course of this full day tour, starting with an outing in the shallow waters of the calm and clear lagoon of Rodrigues. You will accompany an experienced fisherman to his octopus fishing grounds, where you will get to learn the meticulous process of octopus fishing and the tools used. With a little bit of luck, you may even witness him catching one, right in front of your eyes; there is, however, no certainty that this will occur. Afterwards, you will head to a typical Rodriguan household for a delightful exploratory visit. A traditional house in Rodrigues is typically small, with two doors on the forward-facing side. The house structure consists of either iron sheets, locally known as “tole”, or made of basic concrete mix. There are 9 types of traditional houses in Rodrigues. Each tour proposes a visit to a different house, to not only explore the building but also to meet its inhabitants. During the visit, you will also have the opportunity of exploring their gardens, and since most of them also breed animals, you will get to see those too. 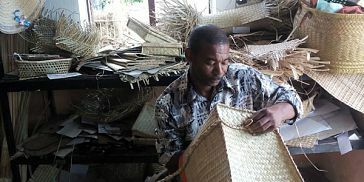 After that, you will get to discover the admirable crafts and expertise of the islanders, who are quite dexterous in manipulating crude, locally-found materials and subsequently converting them into amazing creations. These delightful products are not only created for decorative purposes, they are also highly useful commodities; nets, fish traps, baskets and hats. 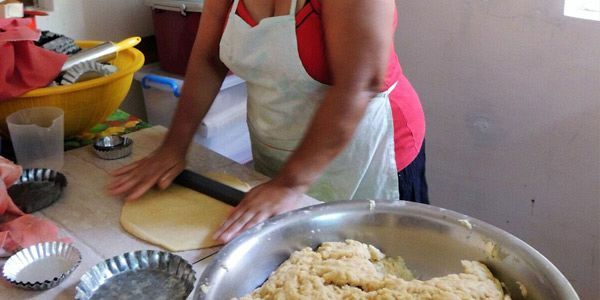 To further enhance your knowledge about the island’s culture, learn how to bake a pie in true Rodriguan style. 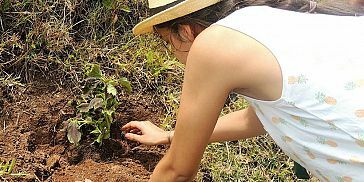 A stop point during this tour will enable you to accomplish the noble task of contributing to the Rodriguan environment protection initiative, by planting a sapling with your very own hands. In fact, each person taking part in the tour will be encouraged to do so. Lastly, you will have the chance of acquainting yourself with native musical instruments (the accordion and tambour). 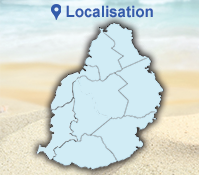 Rodriguan culture is very close to Mauritian culture, however the two are not totally identical. 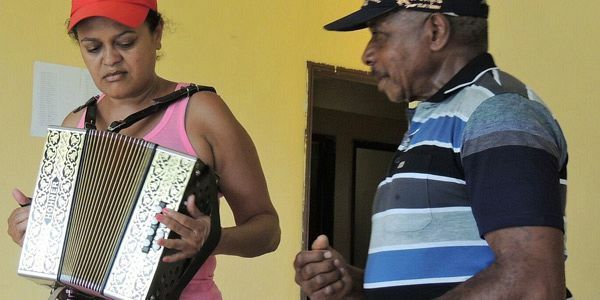 Despite bearing a few similarities to Mauritian music and dance, Rodriguan music and the island’s folkloric dance, more specifically the séga-tambour, bears some notable divergences that gives it a whole different vibe. 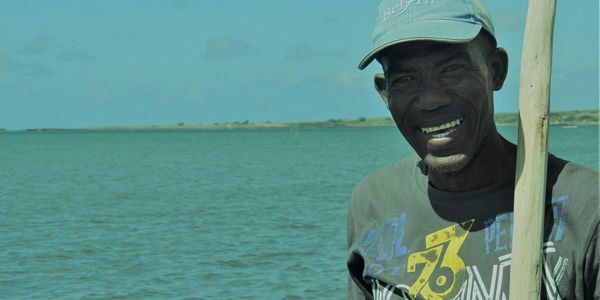 Rodriguan séga is more rhythmic and closer to the African culture; it adds vibrancy to the slow-paced lifestyle present on the serene island. You will surely have a great time exploring the island and mingling with its charming, friendly inhabitants and discovering their exotic way of living. As part of this tour, we offer you to enjoy a delicious traditional lunch at the local restaurant in Rodrigues and below, you can have more information about the lunch menu.